Revivo is the elite immune supplement that you have heard about. Used by celebrities, top athletes & royalty all over the world to fight immune illness and boost general health, It represents the ultimate in immune support and anti-aging and is now available for you to use as well. Buy online using Internet banking or a credit card. Living a healthy life and fighting off disease and illness is an ongoing struggle that each of us has to endure. Throughout my life, in all my daily activities I'm exposed to viruses and bacteria that can potentially lead to serious illness if my immune system cannot defend against them. I cannot possibly get rid of all the bacteria and viruses around me. But I can strengthen my body and my immune system to a point where it is unlikely that viruses and bacteria around me will cause an infection. And if an infection does occur, it will be fought off easily. On the other hand, if my immune system is weak I know that I can easily fall victim to simple viruses and bacteria or suffer from recurring infections including frequent colds and flues. Having a strong body and healthy immune system is the key to my long term good health, wellness and protection against infections. I can support my body in its fight against viruses, bacteria and pathogens with good nutrition and dietary supplementation. In fighting illness and maintaining good health, nutrients are used up by my immune system and need to be replaced by a good diet. Certain nutrients and herbal substances have shown the ability to enhance the immune response and many of these are included in the Immune System Supplement Revivo. It reduces the side-effects of conventional drugs used in autoimmune weakness conditions. The immune system is a complex collection of organs, cells and other structures in the body that together fight against infection and other foreign pathogens taking over the body. This is an ongoing battle whether a person is healthy or sick as we are always exposed to such pathogens and infections. For this to take place there are 2 main requirements, viz, there should be enough nutritional components to support the cells involved in fighting infection and there should be enough healthy cells to do the job. 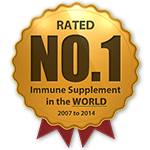 While most other immune supplements address the nutritional requirements of the immune system, they do not actually boost immune function or increase the amount of immune system cells in the body to help fight infection. Revivo however does both, it provides the nutritional support needed for healthy immune function and at the same time also has herbal ingredients that are known to increase the number of healthy immune cells in the body. While many of the drugs used for people who are suffering from weakened immune function are essential, they also tend to have a lot of varying side effects ranging from minor skin problems to serious problems like lipodystrophy, low blood pressure, fatigue, weakness, diarrhea, muscle loss and wasting etc. We have added ingredients in Revivo that counter these effects and therefore eliminate the side effects associated with these drugs. Because the human body is a complex and interrelated system, things do not happen in isolation. A weak immune system will have knock on effects on other areas of the body and in fact this can work both ways around. Sleep for example is an important part of immune function and not having enough sleep can make your immune system weak. At the same time a weak immune system can also result in you getting less sleep. This then turns into a vicious circle with immune function becoming weaker and weaker. It is similar with fatigue, diarrhea, nausea and vomiting etc. Revivo has ingredients to assist with these associated symptoms that even though you may think is not part of the immune problem you have, plays an important role in you returning to optimal health. A proven immune supporting and anti-tumor herb. Arctium Lappa or Niu Bang Zi as it is called in Chinese is an an edible variety of burdock, and has been used for centuries as a traditional medical plant in China, India, Japan, and many Western countries. It has been known for detoxification and for its ability to support the body's blood production. More recently, immune-supporting and anti-tumor properties have been found through scientific research conducted on this herb. Coix lacryma-jobi seeds are well known in the production of non-dairy milk. Traditional folk medicine has used them against warts. New research results confirm the plant's potent effects: extracts of the seeds have increased the quantity of cytotoxic lymphocytes and, hence, are active against viral infections. Effective against Herpes simplex 1 and 2. Polysaccharides of Prunella vulgaris, a common road side plant in all parts of the world, has show anti-HIV research results and were active against Herpes simplex 1 and 2 in laboratory studies. Used in traditional Chinese medicine to lower blood pressure, increase red and white blood cell count, cure appetite loss, strengthen the immune system, and replenish qi. Astragalus root is used in traditional Chinese medicine, where it is used to speed healing and treat diabetes. In western herbal medicine, Astragalus is primarily considered a tonic for enhancing metabolism and digestion and is consumed as a tea or soup made from the (usually dried) roots of the plant, often in combination with other medicinal herbs. It is also traditionally used to strengthen the immune systemand in the healing of wounds and injuries. Astragalus has been asserted to be a tonic that can improve the functioning of the lungs, adrenal glands and the gastrointestinal tract, increase metabolism, sweating, promote healing and reduce fatigue. There is a report in the Journal of Ethnopharmacology that Astragalus membranaceus can show "immunomodulating and immunorestorative effects." It has been shown to increase the production of interferonand to activate immune cells such as macrophages. Reishi Mushroom possesses anti-tumor, immunomodulatory and immunotherapeutic activities. It has also been found to inhibit platelet aggregation, and to regulate blood pressure, cholesterol, and blood sugar. The specific effect of Reishi includes an increase in monocytes, macrophages and T-lymphocytes which means that it can increase CD count. In addition there is also an increased production of cytokine, interleukin, tumor-necrosis-factor and interferon. No other herbal substance has shown such powerful immune boosting effects and in fact we feel that everyone should use this herb for this reason alone. Reishi has some protective effects against liver injury by viruses and other toxic agents, suggesting a potential benefit of this compound in the treatment of liver disease especially where people are using certain medication that can damage the liver, these include antiviral medication etc. Reishi is also reported to have anti-bacterial and anti-viral activities against many viruses including HSV1 and HSV2, the influenza viruses well as anti-microbial properties against the following organisms; Aspergillus niger, Bacillus cereus, Candida albicans, and Escherichia coli. Selenium is a trace element that is found in many foods and is essential for healthy immune function amongst other processes in the body. The problem however is that the soil in most of the world is deficient of selenium and that means that less of it is found in our food supply. In fact people with low or weakened immune function including patients with HIV/AIDS have been found to be deficient in selenium. Selenium helps to regulate the thyroid and immune systems. Given the role selenium plays in the immune system, it is not surprising that it has been examined for potential benefits in fighting HIV/AIDS. Research studies have show that selenium may lower the viral load, reduce the likelihood of hospitalization, increase CD count and reduce frequency of secondary infections. Adequate zinc levels are essential for good immune function. However, research has shown that as many as 50% of HIV-positive patients have deficient levels of zinc, and this has been associated with faster HIV disease progression and an increased risk of death. Zinc is a supplement that significantly reduces the risk of CD4 cell counts falling below the critical 200 cells/mm3 level, daily doses of zinc also reduced reported diarrhoea. Lotus seeds are valued for nutritional and healing properties in Chinese medicine. All lotus seeds contain the anti-aging enzyme L-isoaspartyl methyltransferase, which is said to help repair damaged proteins, according to the Kushi Institute, a macrobiotic website. Because of this, many cosmetic companies are now finding ways to include the seeds in anti-aging blends. In accordance with Chinese medicine, the sweet and neutral taste of lotus seeds said to nourish the spleen and alleviate diarrhea. The lotus embryo, or heart of the lotus seed, benefits the heart because of its bitter and cooling properties. The bitter components are said to include the isoquinoline alkaloids, which have antispasmodic and calming effects, which can help dilate blood vessels, thus reducing blood pressure. Codonopsis pilosula, also known as dang shen or poor man's ginseng. The roots of C. pilosula are used in traditional Chinese medicine. They are carrot-shaped or cylindrical, sometimes branched, and up to 30 centimeters long by 3 wide. They are a constituent of Radix Codonopsis, a herbal mix used to improve appetite and energy. What do people who use it say about it? Good Day! Wow, I’m very impressed by the testimony because it is true, I have referred many people too to use Revivo, they can’t close their mouths, It’s a pity that there are still places like Sterkspruit – part of Eastern Cape that can’t find any shop closer to them, I’m even thinking of buying it Here in Joburg and sell it at home, not for the sake of money – but to save lives, your input will be highly appreciated. I have also referred another friend to buy it for her dying hubby from cancer – but to my surprise the hubby is back on his feet now and enjoying Life like never before, no more visiting the doctors 3 times per week now after taking Revivo, Viva Revivo Viva!!!!!!! Many Thanks and keep up the good work. All the best. Hi Good afternoon I recently recommended Revivo for my Nephew, and he started using it two months back he was bedridden and had swollen legs and was complaining about pains at night. I got a report recently that he has gone back to work , no longer complaining about pains and swollen legs. Wow! Revivo does wonders. I do not like taking tablets just any how! However, the relief I have found in taking Revivo is unbelievable! I am able to sleep comfortably at night. No pains in my legs! Improved skin texture as it used to be twenty years ago. I turned sixty but I look 40tish and feel younger and energetic now. Thanks to your sensitive and caringTeam. I am finishing my first bottle of Revivo this week. I plan to continue taking this remedy. It is convenient for me because I only take it once. It is enough to keep me going for the rest of the day. In my job I travel extensively. I no longer feel fatigued! Guys this is unbelievable!!!!!!! I haven't even finished the first bottle, already my sores, spots, blisters, itching etc are disappearing. Each time I wore a shirt, it turned red with blood, due to scratching myself but now with the help of REVIVO, the itching is slowly fading away and I can now wear short sleeves shirts and T-SHIRTS which I was planning to give away as I never thought that one day I would wear them. Thank you!!! Hi, My name is Thembisa I have started using Revivo on 4th December 2010 and i was suffering from yeast infection and my thrush was very bad but since i have this tablets i can see the difference and im so energetic. Im sleeping like a baby at night .Thanks Revivo team keep it up the good work. I just also wanted to let you know that I managed to buy two bottles of Revivo, one for me and one for my sister. We both started using it on 7th December but I am telling you this treatment is so powerful interms of bringing back strength and appetite. I used to have some fingers swelling every morning and my feet were always painfull every morning also had strange headache but right now I am telling you all these feelings have gone and I am eating normally. I can do all my work, never gets tired than before. My sister also is complementing good work for Revivo since she started using it. Although it is expensive but Revivo is super!!! Hi There I have four friends and they cant stop phoning me to tell me how much I helped Them about telling them about Revivo. One of them had too much stress she couldn’t sleep At night, and she started to have rush and lost weight. After I tells her about Revivo, she didn’t waist time In three days time after using Revivo she phone me to tell me that she is got miracle in her body she started To sleep @ night rush is gone and she is having epitied, she is eating like she cant believe it. Viva Revivo Viva!!!! I bought Revivo and myself and my husband are using it together its amazing its not even a month my colour in my face is back im slowly gaining weight again.I am feeling great I am eating like before. Revivo is great I am not going without it ever.Must just try to get antivirals and i believe we will have a healthy life in the future. This is in connection with my healing progress since I have ordered my bottle of Revivo I feel much more better. I had a chronic cough and always had to spit out a large amount of phlegm. I then consulted my doctor who referred me for x-ray. There were some objects in my lungs and a granuloma. I then took my Revivo tablets for a week, afterwards I went back for another x-ray of which it was my review, to my surprise my lungs are clean with no any sign of pleural infection or the granuloma itself. I sleep peacefully without coughing. Revivo is an Herbal Immune System supplement. It is based on a number of traditional chinese herbal formulae used to support and strengthen the immune response, prevent infections and address the side-effects of commonly used antibiotic drugs. It is meant to be used in conjunction with conventional therapy not as a substitute. It can also be used to maintain healthy immune function. Can Revivo be taken with ARV's? Yes, Revivo can be taken while on ARV's, you should however take them at least one hour apart, i.e, you should take Revivo one hour before or one hour after taking the ARV's. Can I use Revivo if I am not HIV+? Revivo is a general Immune System supplement. Although many people living with HIV do use it, it is not specifically for HIV or AIDS and it is not a cure or therapy for HIV or AIDS either. It can be used by anyone who wants to boost their immune function. Does Revivo have any side-effects? Revivo should not be used during pregnancy. using it and contact us immediately. Do not stop your other prescribed medications while using Revivo. If I stop using Revivo will there be a rebound effect? No, there is no rebound effect with Revivo. Do I have to use Revivo every day for the rest of my life? You do not have to use Revivo for the rest of your life. You choose how often and for how long you wish to use it. Can I use Revivo while I am pregnant? Yes, but please stick to the dosage of one capsule per day. Can babies or children use Revivo? You can use Revivo at 1/4 of the capsule maximum daily for a child. If the child experiences diarrhea, reduce the dosage or discontinue. You will need to open the capsule and pour one quarter into warm water in this case. No, Revivo is not a cure or treatment for HIV/AIDS. Can I stop using ARV's if I am using Revivo? Revivo is not an alternative to conventional HIV therapy, therefore you should NOT stop ARV's while using Revivo. ARV's and other conventional therapy should be used as per the advice of your doctor, clinic or other health professional that is attending to you. Where can I buy it and how much? You can get a bottle of Revivo online or offline in a store near you. Free shipping for online purchases, you have a 60 days money-back guarantee, and your bottle arrives in 1 to 2 working days from our Johannesburg warehouse.